Thank you to everyone who participated in our Inspirational #151! Such beautiful and festive projects from everyone!! Congratulations to the creators of our three Inspiration Projects from Inspirational #151! Fabulous color choices with the muted tones in the background, making the bright red in the stamping really pop out, and draw your eye in! 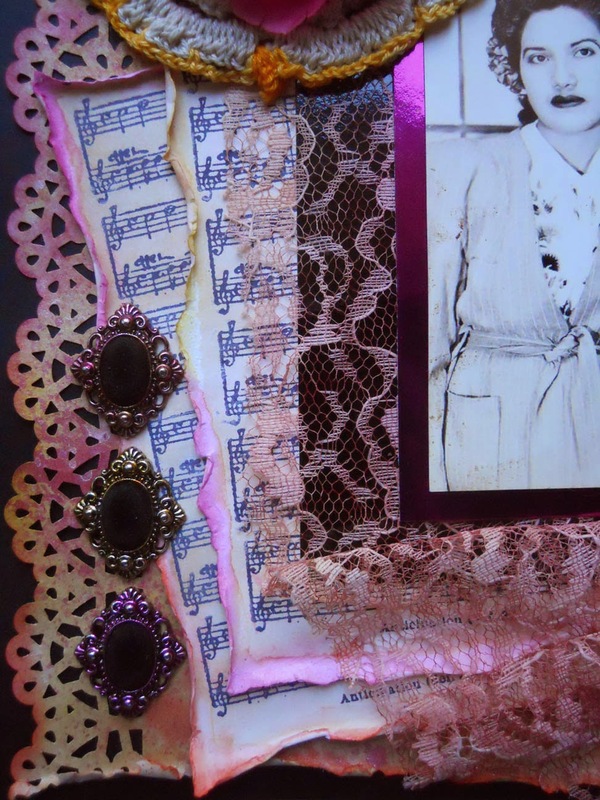 The distressing and stitching add great vintage charm to this gorgeous card! 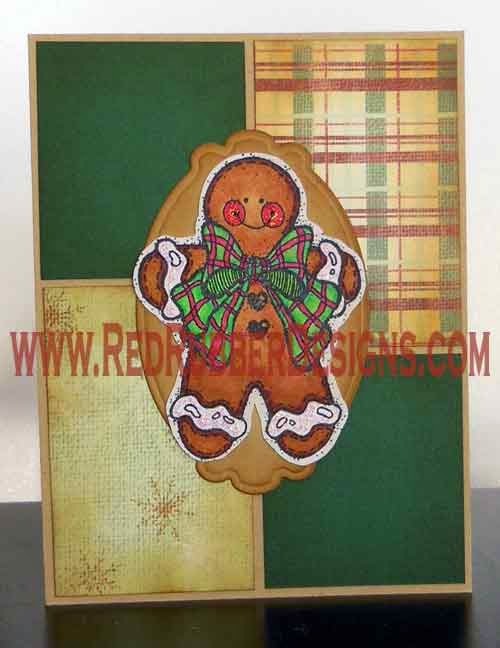 Fantastic coloring and stamping on this beautiful and festive card! We thought the white lace square makes her look like she's in a garden somewhere, maybe thinking of her true love. 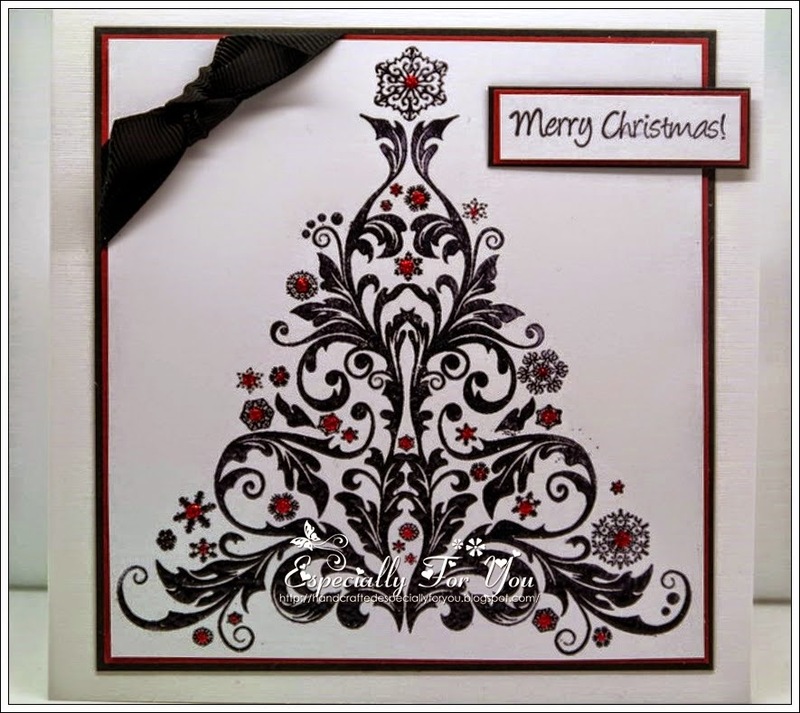 We loved the modern take of this striking and elegant Christmas card! 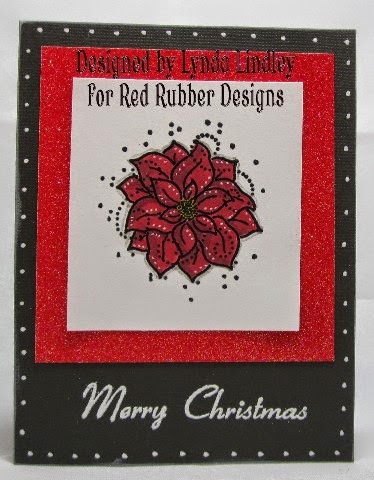 The tree really is the star here with the black embossing and sparkly touches of red! Be sure to come back on Thursday, January 1st to ring in the New Year with our next Inspirational, hosted by Kendra. On behalf of me and my Inspirational Design Team, I want to wish you all a very Happy Holiday! 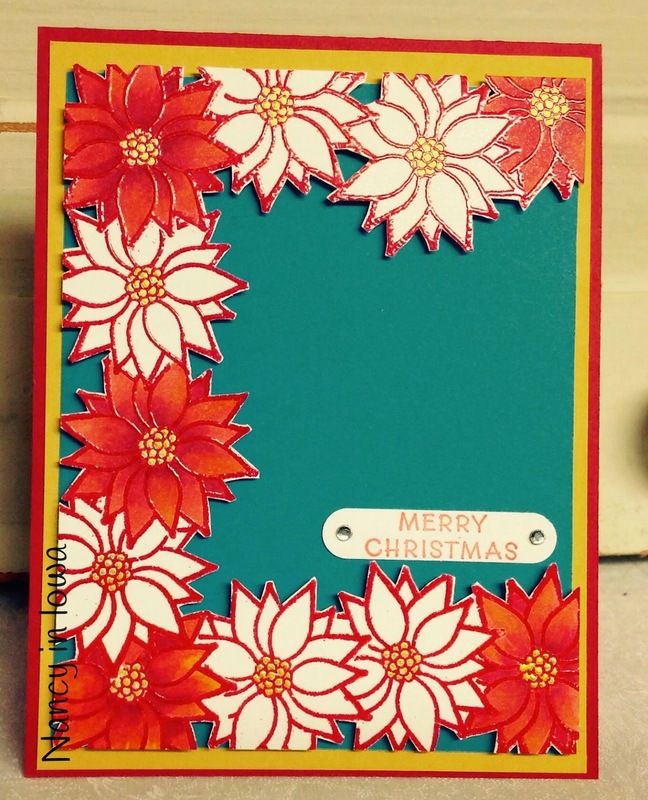 We aren't having a stamping challenge this week - instead we want to spread some Christmas cheer! 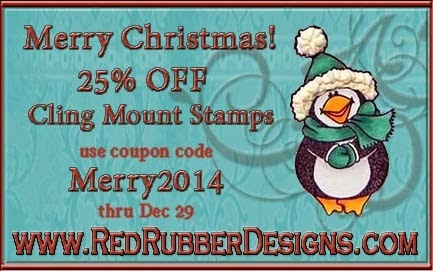 Use coupon code Merry2014 in your shopping cart to get 25% OFF all Cling Mounted Rubber Stamps, good through Dec 29th. While supplies last, discounts are calculated in your cart. 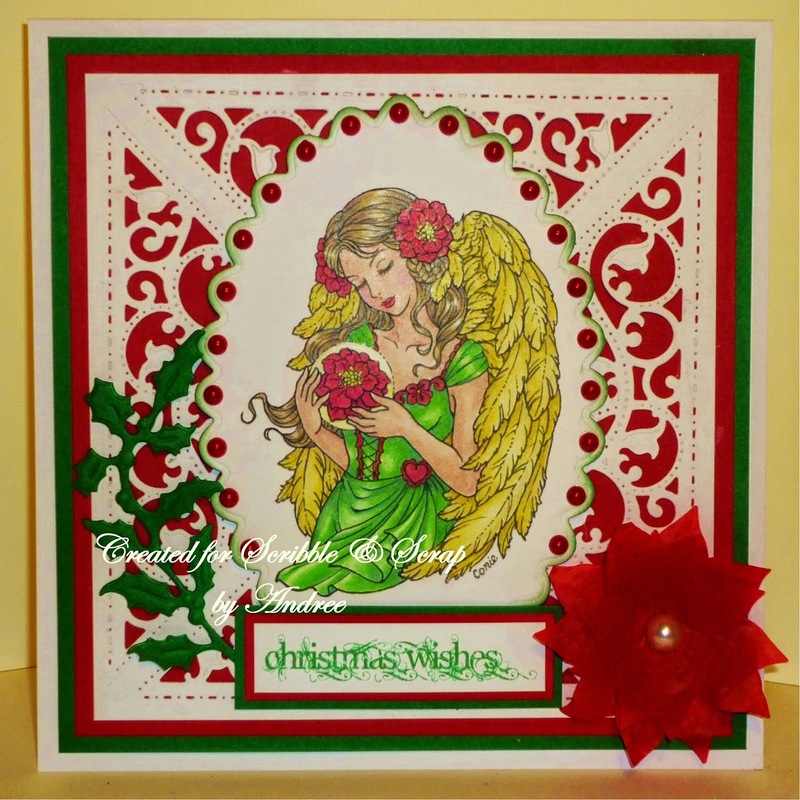 Now for some Christmas stamping inspiration! Thank you to everyone who participated in our Inspirational #150! Congratulations to the creators of our three Inspiration Projects from Inspirational #150! 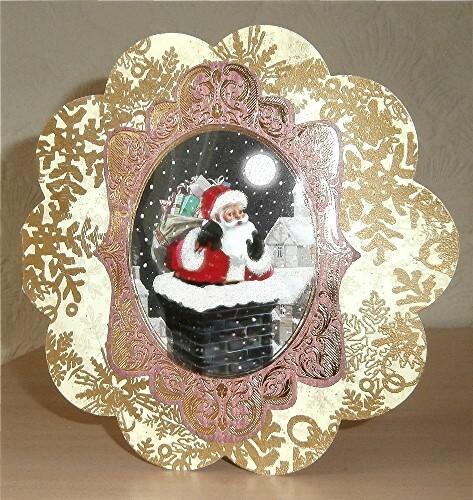 Wonderful sparkly scene you created on this wonderful card that we all thought was fantastic. And next we have Hazel who submitted two projects that were both chosen this week. 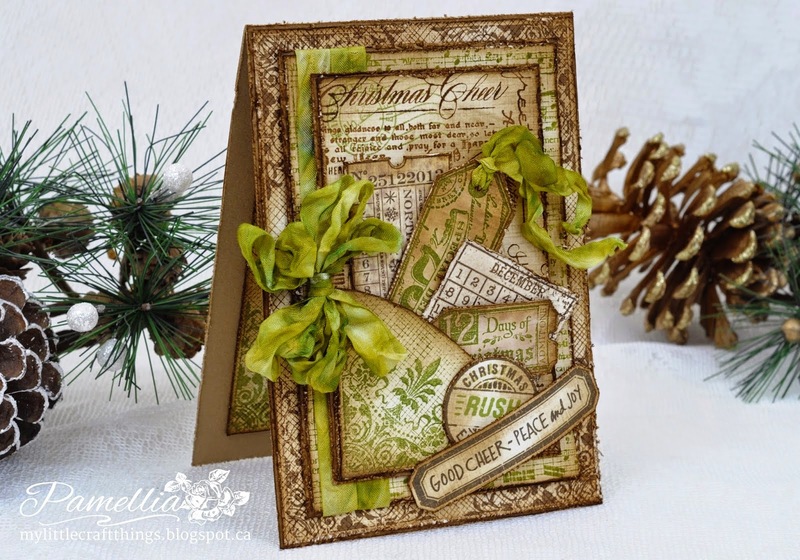 There is still time to join in our current Inspirational #151 Christmas Cheer hosted by Drea. Please link up your project by 11:59 PM (U.S. Central time zone) on Wednesday, December 24. Be sure to check our blog on Christmas day for a special post; we're taking the holiday off from our normal inspirational post to allow our fabulous designers to enjoy the holiday with their families. Deadline for submitting your projects is Wednesday, December 24th at 11:59 PM US Central time. This is Drea hosting this week's Inspirational! Our theme this week is all about Christmas Cheer! We want to see any kind of stamped Christmas greeting or image (tree, wreath, Santa, stockings, candy cane, nutcracker, reindeer, presents, snowman, snowflakes, sleigh, lights, etc.). I started by blending some Distress Inks onto some white cardstock, and flicked some water over it using an old toothbrush. 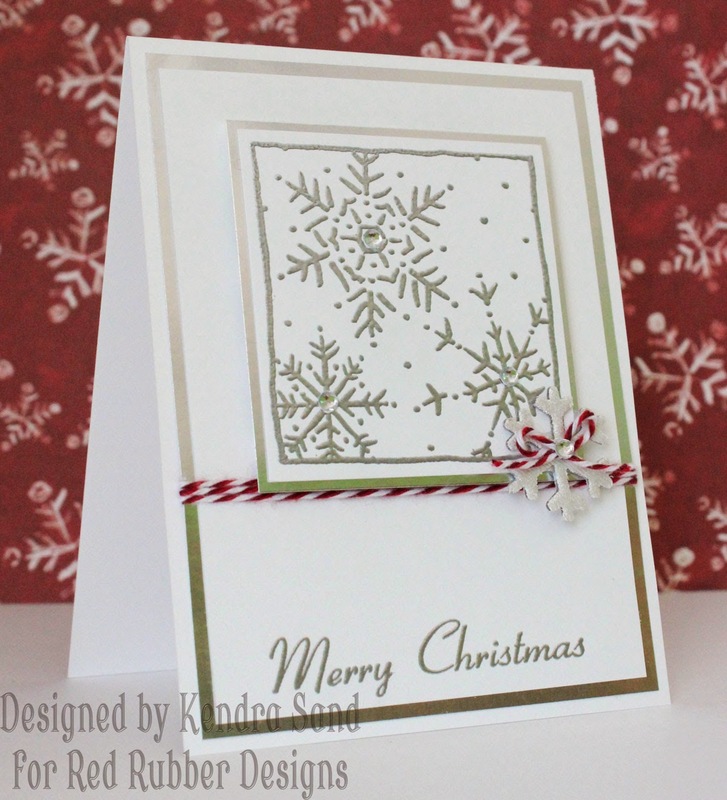 Then I used white embossing powder to create snow using the Speckle Background stamp. 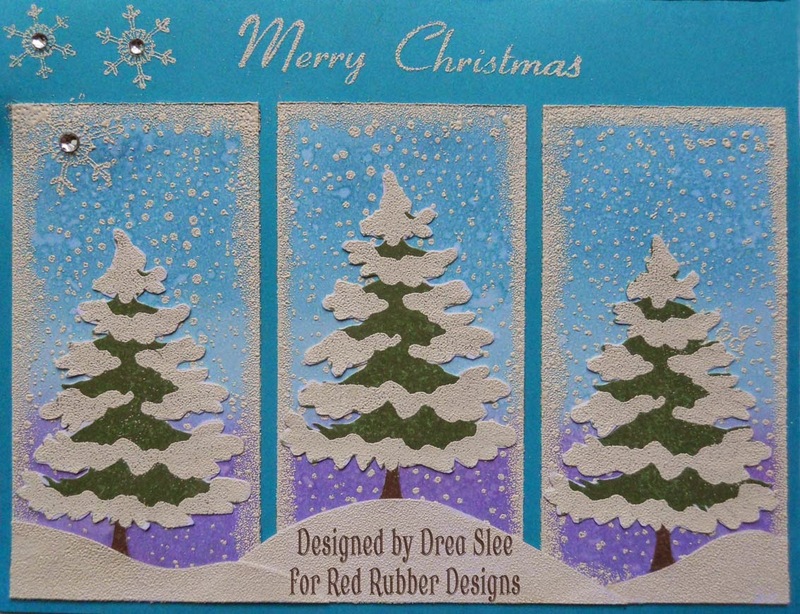 The trees were stamped in green and brown ink, and then embossed in white, using Oh Christmas Tree. 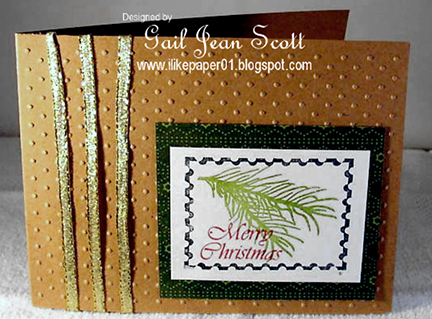 I used Vintage Christmas for the sentiment and snowflakes. 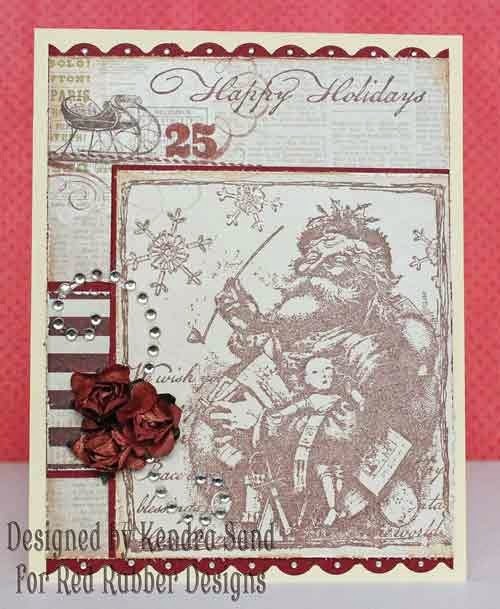 Kendra also used images from Vintage Christmas, along with Snowflake Blocks. I hope you are inspired by my Inspirational today and link up a newly created project to this post by the deadline! We look forward to seeing what you create!! Thank you to everyone who participated in our Inspirational #149: 3D Gifts!! Congratulations to the creators of our three Inspiration Projects from Inspirational #149! What a beautiful gift package! We love the image and sentiment together! What a beautiful gift bottle!! Such a lovely design! And such a sweet image! Love the wine bottle cover you created! Fun idea! 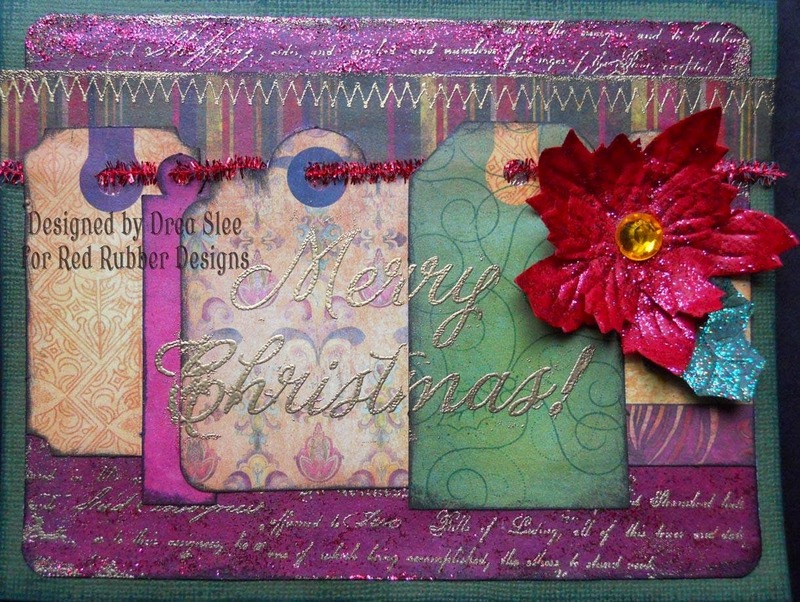 There is still time to join in our current Inspirational #150: Stamping Sparkly Holiday Greetings hosted by Lynda. Please link up your project by 11:59 PM (U.S. Central time zone) on Wednesday, December 17th. And don't forget our next Inspirational starts on Thursday, December 18th!! Inspiration Project for Inspirational #148: Frame It! Thank you to everyone who participated in our Inspirational #148: Frame It! Each week the Inspiration Team chooses three projects from all of the just-closed Inspirational participants. These projects are chosen because they truly capture the essence of the Inspirational. This time, we're only choosing one Inspiration Project. While everyone did a great job on their projects, only one person submitted a project that followed the challenge rules (frame your stamped image by stamping a frame). Congratulations to our Inspiration Project for Inspirational #148! There is still time to get in on our current Inspirational #149: 3-D Gifts hosted by Kendra. Please link up your project by 11:59 PM (U.S. Central time zone) on Wednesday, December 10th. And don't forget our next Inspirational starts on Thursday, December 11th! Deadline for submitting your projects is Wednesday, December 10 at 11:59 PM US Central time. This is Kendra hosting this week's Inspirational! Our theme this week is 3D Gifts! 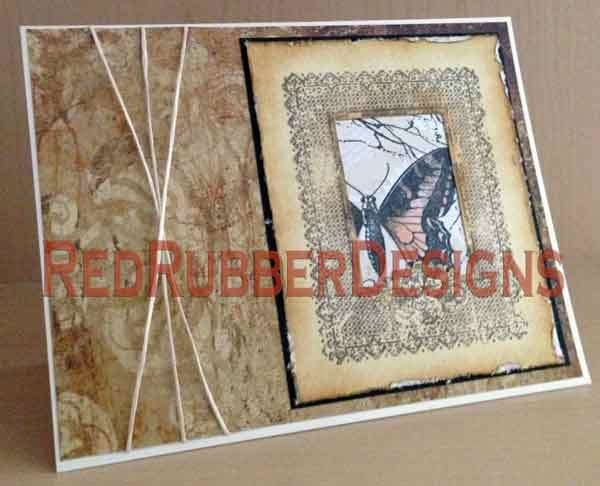 A stamped image must be the focus of your project! 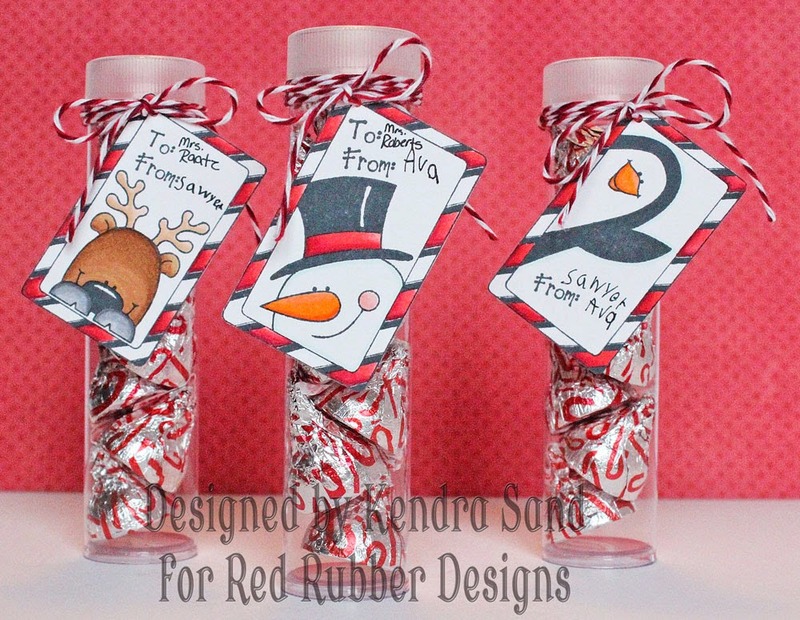 The Gift Tags Rubber Stamp is a perfect set for these tags for gifts from the kids! I just love the images!! I used three of the four tags from the set! Now lets see your 3D Gifts! Thank you to everyone who participated in our Inspirational #147: Repeat Yourself!! Such fantastic projects from everyone!! Congratulations to the creators of our three Inspiration Projects from Inspirational #147! The way this card is framed with those fabulous flowers is very striking! 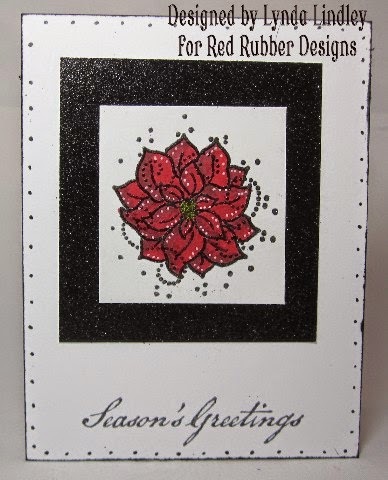 Using different colors with the same stamp is a great way to create interest. 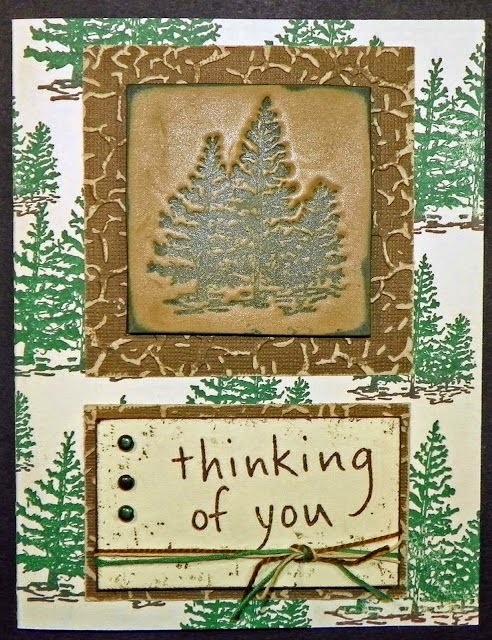 This awesome card is a wonderful example of using different techniques with your stamping! Great job! 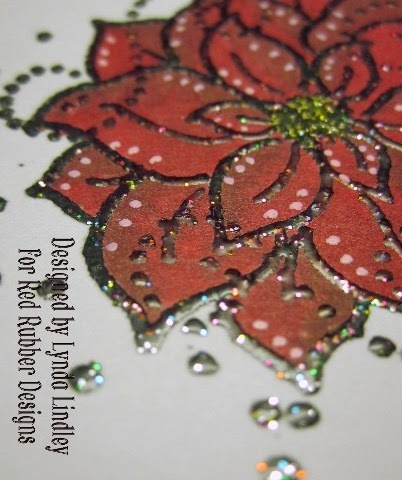 There is so many beautiful layers of stamping on this card! The repeat stamping isn't as obvious as the other two, but it gives you the opportunity to search through all the detailed stamping that she did. There is still time to join in our current Inspirational #148: Frame It hosted by Pam. Please link up your project by 11:59 PM (US Central time zone) on Wednesday, December 3rd. And don't forget our next Inspirational starts Thursday, December 4th!! Deadline for submitting your projects is Wednesday, December 3 at 11:59 PM US Central time. This is Pam hosting this week's Inspirational! 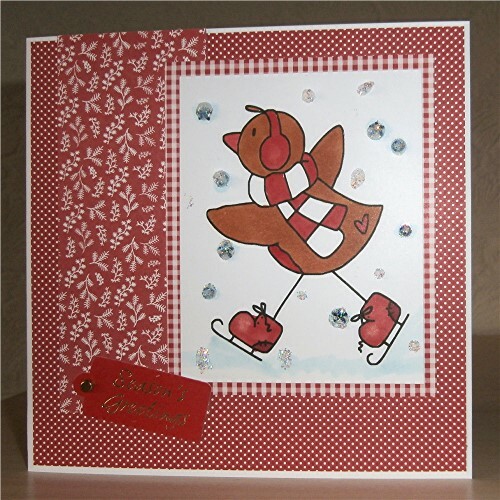 Our theme this week is to frame your stamped image by stamping a frame. You don't have to use a frame stamp, you can use any stamp(s) that you want as long as you create a stamped frame around your focal image. 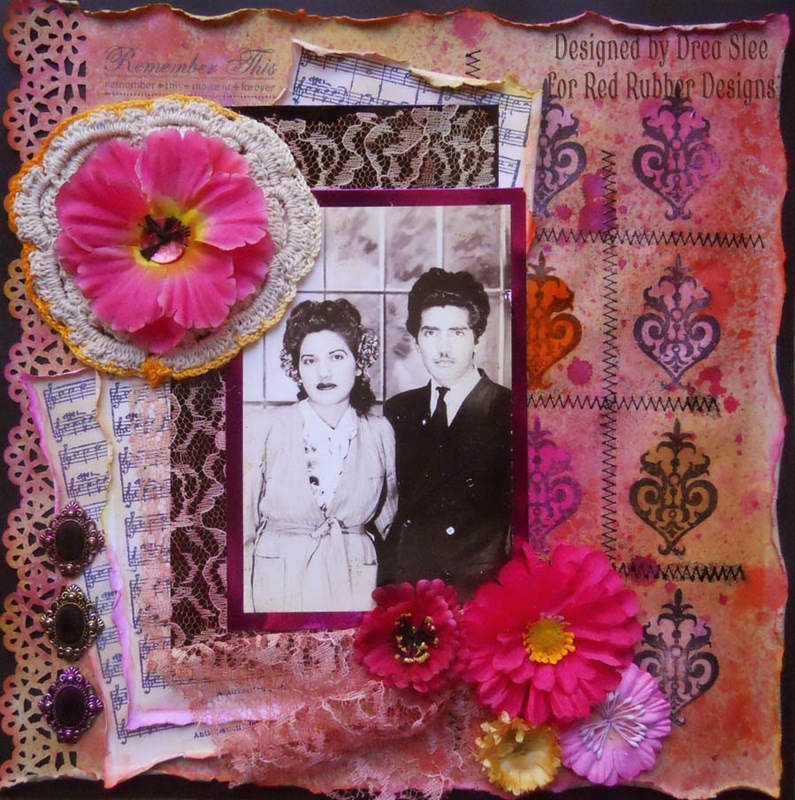 Pam created this frame using an image from the Fanciful Vintage stamp set. Inside the frame is the image from the Life So Big stamp set. 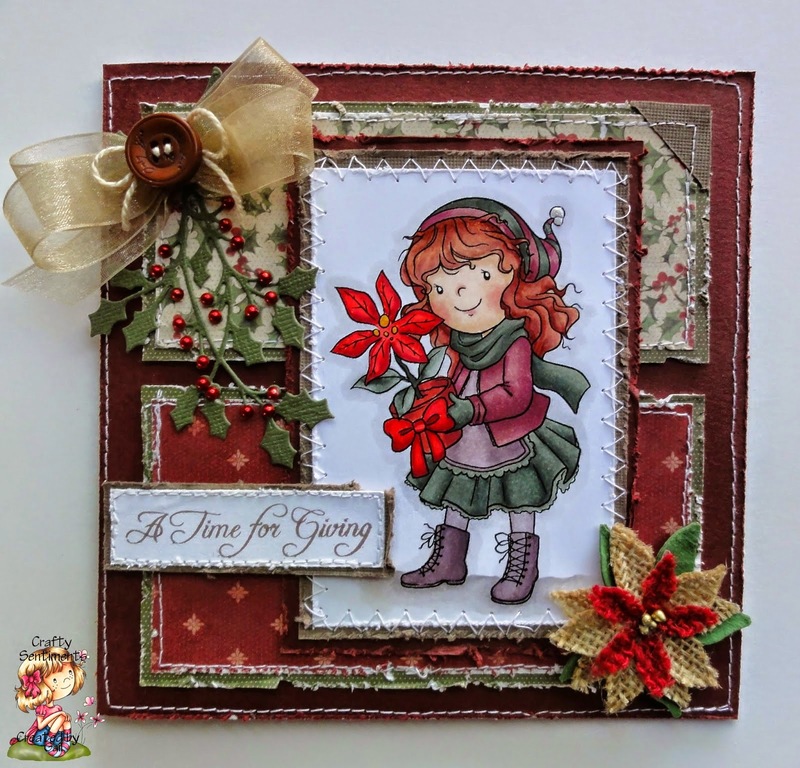 The frame design really keeps the focus on the stamped image on this card and you have to admit these colors are just fabulous on this creation! 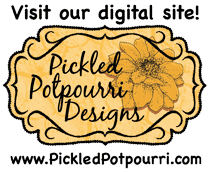 I hope you are inspired by the Inspirational this week and link up a newly created project to this post by the deadline! We look forward to seeing what you create!! Deadline for submitting your project is Wednesday, November 26 at 11:59 PM US Central time. This is Drea hosting this week's Inspirational! 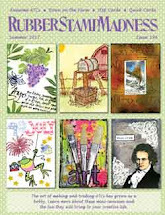 Our challenge this week is to use the same stamp at least three times on your project. Of course, more is even better! So have fun and get creative repeating yourself! I started by misting some kraft cardstock with various colors. Then I stamped the black scrolls using Aged Ornaments onto different colors of tissue paper eight times, even though I covered the bottom one up with my flowers. 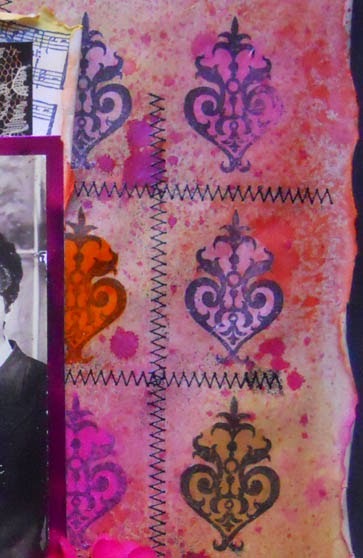 I did some fussy cutting, and decoupaged them onto the background. Then I used the zigzag Running Stitches in between all of the scroll work, which I embossed in black. I made sheet music out of white cardstock, using Distress Inks on the background. For each page I used the Vintage Background stamp six times. 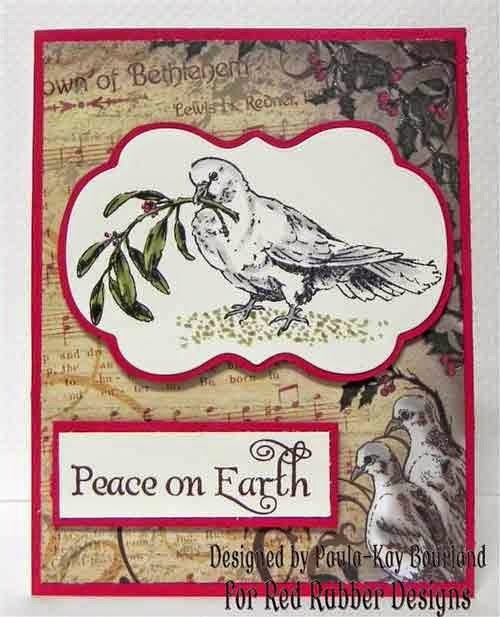 The sentiment on the top left was done using the Fanciful Vintage stamp set, which was the only stamp that I used only once. Inspirational Projects - After each Inspirational, the Inspiration Team will choose three projects from those submitted via the link-up tool below which we think best reflect the theme of the Inspirational.